I recently had my birthday and then somehow the question “How long do you think you can keep dancing?” comes up. Like I’m old or something. But I do get it, and for a culture that’s not even 40 years old, there isn’t a whole lot of people to point at and say “what do you mean, people break until they’re 70 just like they ski, play soccer or do yoga”. The oldest generation in breaking is now in their 40’ies. And the majority of the earliest generation have quit. There are some people who started at an older age, but that is a bit different. If you do something from your twenties or before and you keep doing it and stay fit, I don’t think you’ll easily reach a point that you can’t do it anymore. And even the older people can still do their thing and enjoy themselves, like crazy grandma. I’d rather be in the Ken Swift category than the crazy grandma though, if you know what I mean. 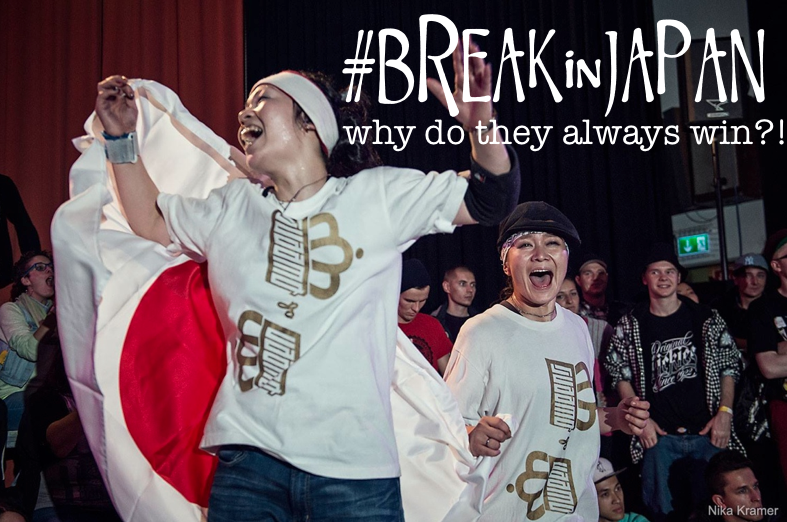 ← Previous Story REPOST#BREAKinJAPAN part 5 “We B*Girlz battles at BOTY” – why do the Japanese always win? !